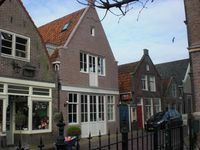 Luxury apartment in the heart of the center of Volendam 30 meters from the harbor. Property 1: Luxury apartment in the heart of the center of Volendam 30 meters from the harbor. An apartment in a rural setting and only 9 km from Amsterdam !! Property 4: An apartment in a rural setting and only 9 km from Amsterdam !! Apartment near Amsterdam, Hafenzimmer quiet location "Apartments-Waterland"
Property 7: Apartment near Amsterdam, Hafenzimmer quiet location "Apartments-Waterland"
Property 12: Spacious 80m2, quiet location, close to center, 15 mins. Property 17: Amsterdam Zeeburg. Family Apartment. Modern architecture. Water and space. Apartment near Amsterdam Luxe Hafenzimmer quiet location "Apartments-Waterland"
Property 21: Apartment near Amsterdam Luxe Hafenzimmer quiet location "Apartments-Waterland"
Sunny and spacious apartment, close to center, 15mins. Property 30: Sunny and spacious apartment, close to center, 15mins. Experience the essence of Amsterdam! Property 38: Experience the essence of Amsterdam! Property 46: Amsterdam is more beautiful than Paris! Our family (3 of us) spent 6 nights here the week before Easter. The location is great, a quiet street but very close to everything. We walked everywhere, no need for public transit, but if you want it is quite close by as well. Highly recommended. Our family of 6 loved our 5-night stay in Esther's cozy apartment! We had a rental car, so Esther's apartment was a fantastic base for us to explore Amsterdam, the Kinderdijk windmills, The Hague, as well as many many tulip field regions. There is also a bus station right near Esther's apartment, so that is a great option, as well. Esther was a terrific host! Her family's apartment was immaculate and charming and it had everything we needed to enjoy our stay. The town of Edam is quiet and quaint, which was wonderful to come back to after busy days out. If you just stay in Amsterdam, you will miss the charm and character of the Netherlands! The drive to and from Amsterdam and the surrounding areas were magical-the canals and bridges, farms, animals and wildlife! Make time to explore the area! Edam is known for its delicious cheese, but the local bakery's coffee cake &amp; delicious loaves of bread and the chocolate store were our kids' favorites :-) Our family highly recommends Esther's lovely apartment!